Akshay Kumar has announced that filming on his upcoming movie, Good News, has concluded. Good news also stars Kareena Kapoor Khan, Diljit Dosanjh, and Kiara Advani. Akshay made the announcement, as only he could do, with a very interesting video posted on social media. 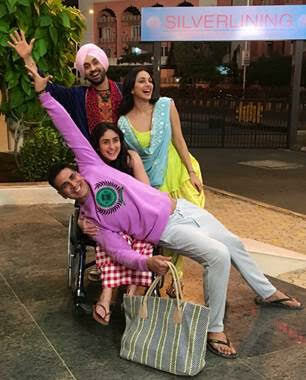 Good News is a hilarious family drama where Akshay and Kareena and Diljit and Kiara play married couples trying for a baby. The film is being directed by Raj Mehta and is a Dharma Production. Good News due date is on September 6, 2019. Stay tuned for more! 19 queries in 0.360 seconds.